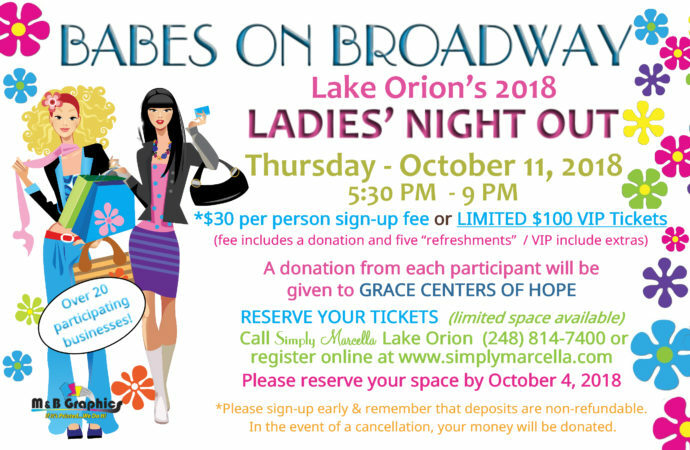 Sign up for the 2018 Lake Orion Babes on Broadway Ladies’ Night Out! Reserve your tickets today! Call Simply Marcella Lake Orion at (248) 814-7400 or register below via PayPal! Please reserve your space by October 4th, 2018. Attendance is limited! **Deposits are non-refundable. In the event of a cancellation, your money will be donated.